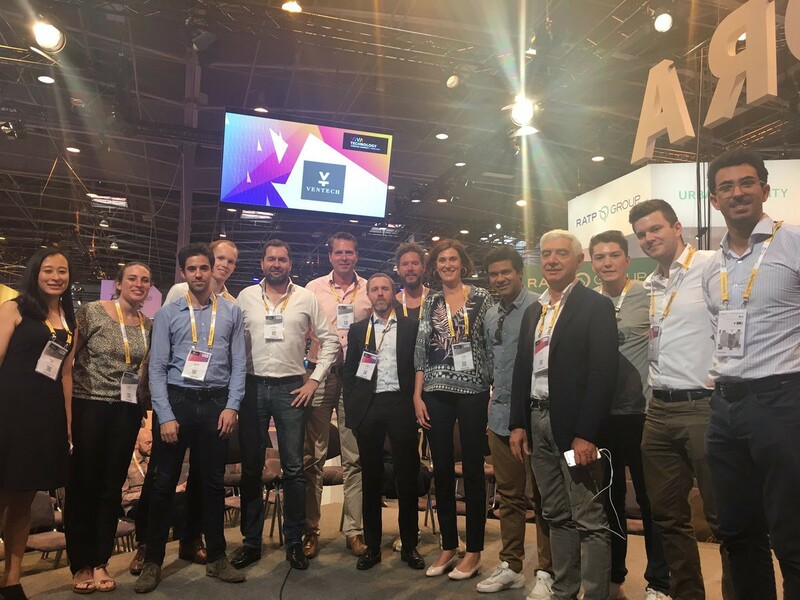 Last month at VivaTech, Ventech organized a start-up challenge: congrats to SpartED for winning it and thanks to all participants! The goal of our challenge was to identify digital tools that can help corporations to drive employee engagement, culture fit and overall productivity. While we see a lot of such tools enter the market and the “war for talent” intensify, the key challenge for start-ups stills consists in making the right people work together. That can be all the more difficult as they often have to think global very early on and open offices abroad fast. To that extent, our challenge was followed by a discussion on “Building team spirit in a fast-growing start-up”. What are your main challenges when you start thinking of building team spirit ? The starting point for international teams is to make sure everybody shares the organization’s mission, values, and vision. Throughout diverse cultures and different time zones, it is very important to communicate about those topics in a uniform way and have a communication plan ready for each new employee joining the team. Communication is crucial for international teams. For any company, face-to-face communication between current and new employees is highly encouraged. Online collaboration tools are only necessary tools in the sense that teams are spread across geographies. However, they cannot replace human interaction. With that regards, soft-skills, such as communication skills are getting more important even maybe than technical and business skills. Although cloud-based technologies can help international teams to collaborate and work together, a key challenge lies in the ability to build team spirit without the classic team-building workshop companies normally would have for employees who work in the same office. Team spirit building starts as soon as an employee joins the company. Your new colleague should have face-to-face meetings with relevant people to onboard him personally, even for employees in remote locations. It is proven that onboarding where only digital interactions occur lead to lower employee engagement and lower retention. The first month of an employee at your company is absolutely key for his/her involvement and performance on the long run. How important is it? What can be expected from the CEO? Who is responsible for team spirit within your organization? Any Chief Happiness Officer ? In the early days of the company, the management team is greatly involved in building spirit, as the management decides what kind of culture they want to see in their company. Therefore, hiring the first employees has to be based not only on competences but also on culture fit. When the company is more mature, it is advisable for the management to take the time to meet new employees in person and to push them to get to know their colleagues, so they understand their new company better. The CEO can handle the Chief Happiness Officer role in the early days. But, progressively, this role shifts to the HR department and team managers. In that last case, a dedicated position is not necessarily required. 1. At StickyAds, every week, each department prepares a short summary of it projects and latest achievements. All the inputs of the departments are then put together in a newsletter which is shared with the whole team. 2. Every year-end, Speexx launches “fun projects” to build and sustain team spirit across its offices. Last year, the company created a little book as a Christmas Gift for their clients called “let’s travel”. One person from each office was asked to participate and to tell a bit more about his city, what he likes and his advice to visit. The book was then printed and send to both clients and offices: a good way to know each other a bit more! 3. At Freespee, IT team members are flown to other European offices on a regular basis to personally meet their colleagues in person. This does not only help Freespee with the cohesion of the whole IT team, but also with the whole host team who captures additional energy during those weeks. 4. At Hostmaker, when an employee is onboarded, he/she receives “homework”/a set of tasks to better understand the culture and personalities present in the company. Finally, lessons learned: what works well? what does not? — what impact has positive team spirit on overall company performance? Can you measure it and if so how? Team spirit has a positive impact on the overall company performance as employees become more engaged. Nevertheless, the relative impact of each factor in improving company performance is hard to assess as many factors come into play. Some tools can help you to assess the morale of your team via indicators such as Employee Net Promoter Score and to identify the levers to enhance your team performance. To sum up, building team spirit starts from day one and is led by the CEO before he/she delegates this responsibility to HR and team managers. Personal interactions and soft skills are especially important in the early days. Last but not least, fun should be one of the dimensions of any work-related (or not) group activity and in fact every participant of our round table highlighted this with their own examples. Therefore, we were happy to hear Matthieu Le Vavasseur, the CEO of SpartED, winner of our start-up challenge at VivaTech, finish his pitch by quoting Mary Poppins: ”In every job that must be done, there is an element of fun. You find the fun, and — SNAP — the job’s a game!”.